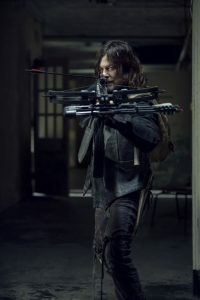 Warning: this review contains multiple spoilers for The Walking Dead Season 9, Episode 14. 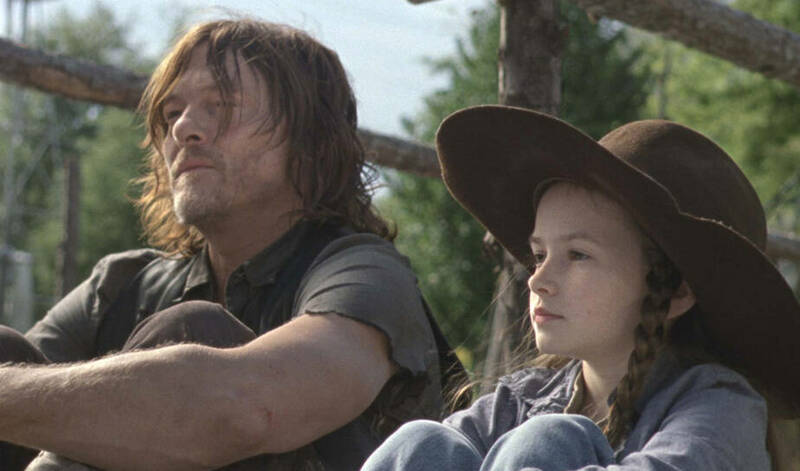 It was understood that Michonne and Daryl, more than anyone else, were devastated by the loss of Rick, but now we have seen this devastation firsthand. Even more terrible for the two people who were closest to Rick is that they never found his body. We learn that Daryl has searched the river ‘to the ocean’ and not found any sign of Rick. While viewers know that Rick was taken by Jadis and the Helicopter People, Michonne and Daryl do not. Having found Rick’s gun on the riverbank, Michonne must think that Rick died and literally walked away. Why else would his body be gone, but his weapon be left behind? Still, not having the closure of finding his body would be killing her, especially being pregnant with his child. Episode 914 begins in the midst of this emotional turmoil. Michonne’s friend betrayed her. Ultimately, this perfidy is at the heart of Episode 914, appropriately titled ‘Scars’. Michonne bears scars from her encounter with Jocelyn, both literal and figurative. Except that Jocelyn wasn’t a stranger, not entirely. She was someone whom Michonne had known in school, before the ‘civilized’ world collapsed under the weight of the zombie apocalypse. Yet it had been a number of years since that had occurred, and probably more than that since Michonne had seen Jocelyn. Such a long time, not to mention the hardships that had been endured in those intervening years, changed both women, to the point that they didn’t really know each other any longer. Jocelyn’s child army was horrifying, not because the kids themselves were dangerous (although they were) but because the idea of stealing what little innocence remains for these children and turning them into cold, unfeeling automatons is something most people could not imagine crossing their minds, much less being something upon which to act and plan. Realizing that Jocelyn literally stole children to create that army only makes it worse, because she took them from (presumably) loving parents, devastating their lives as well. Even more, children are a scarce and valuable resource in this world, where protecting them until they reach adulthood is a challenging task. How can civilization rebuild itself if there are no children to claim the future? From a clinical perspective, using children as weapons creates a false show of weakness, because most people do not want to harm children, and would react just as Michonne did, waiting until the last possible minute to fight back. This makes them the perfect spies, infiltrators, and con artists. That Jocelyn would think about this in such a cold manner shows that her mind is in a distant place, far from normal human emotions. Interestingly, her perspective that the children should not be soft, should not be weak, bore a strong resemblance to the philosophy of Martha on Fear The Walking Dead, as well as that of Alpha herself. It would be interesting to see how Jocelyn got to this place, and the path she traveled before she ended up at Alexandria’s gates. Ultimately, this was the biggest problem with this episode: it felt rushed and disconnected from the rest of the story. This half-season has been exciting and compelling, drawing in viewers each week, wanting to see what happens next. And this week, instead of learning what happens next, we learned what happened before. Now I admit, I was getting frustrated with all of the secrecy behind Michonne’s change in attitude, but I guess I should have heeded that old Chinese proverb and been careful for what I wished, since this week’s story really threw me for a loop. I am deeply involved in the Whisperers storyline, yet this episode tore me away from that, losing the momentum that had been building since episode 908. It had been so long since the mystery of the missing 6 years had been introduced that I was no longer excited to see it. I felt a little cheated, being taken away from the current storyline to be forced into something from the past that no longer had the urgency that it did episodes ago. From a storytelling perspective, this episode would have been better earlier in the season. Perhaps Jocelyn’s character could have been introduced in the first half of the season, slowly revealing her backstory and showing how she was scarred by whatever had happened to her during the zombie apocalypse. Then she could have disappeared during the first time jump, only to reappear in the midst of the second. Once that was resolved, then moving on with the Whisperers storyline would have been better for the viewers, keeping the power and momentum of that plotline going as we approach the season’s end. The other issue I have with this episode is that it doesn’t really explain all of Michonne’s actions over the past 6 years, much as the show’s producers would like us to think that it does. Michonne became wary of strangers, yet it was a former friend who betrayed her. She cut off relationships with Hilltop and the Kingdom, even though she knew the people there and understood that she could trust them. It just seems like too much of a stretch. Yet she trusts Negan enough to believe that he is telling her the truth about Judith? It feels inconsistent. 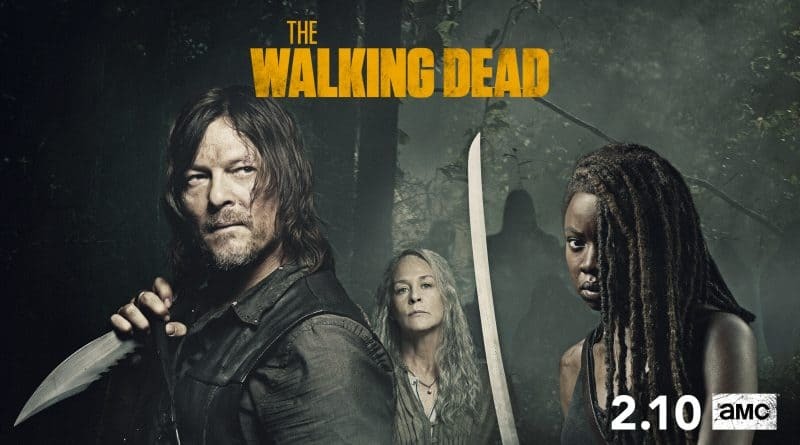 I can understand Michonne not wanting to let new people into Alexandria, or being protective of Alexandria’s children, but completely shutting out Maggie, Jesus, Carol, Ezekiel, and even Daryl, doesn’t really fit. In a time of crisis, Michonne should have relied upon her friends for help, not pushed them away. 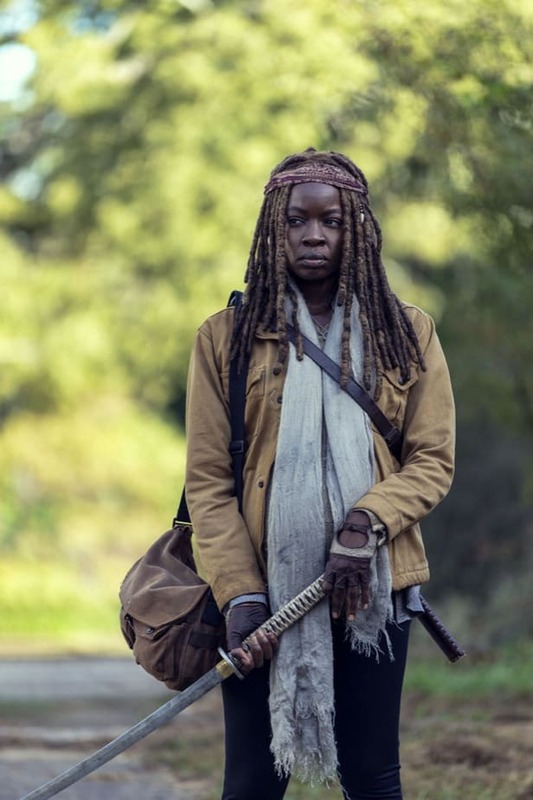 That’s not the Michonne who went back to rescue Andrea from the Governor, who rejected returning to a life of solitude after the prison fell to remain with Rick and Carl, or who fought tooth and nail against Negan to protect all of the communities (not just her own). These issues aside, this episode showed once again how Judith is mature beyond her years, almost (but not quite) to the point of stretching credibility. Judith knew far more than anyone understood. Negan has told her about what he did when leading the Saviors, and how her father and brother reacted. She remembers being kidnapped by Jocelyn, and being rescued by Michonne, whom she didn’t recognize at first because her mother was covered in blood. Yet rather than mistrusting everyone, Judith has become a fast judge of character, assessing everyone almost instantly and acting accordingly. At the same time, like a child, she sees the good and potential in everyone (or almost everyone, since apparently she recognized the evil in Jocelyn). Judith wants to help others, much as her father and brother did. In that, she truly is carrying on the Grimes legacy. 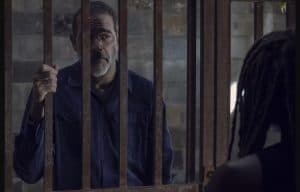 While the majority of this episode focused on Michonne’s past trauma, there were a couple of current plot developments. 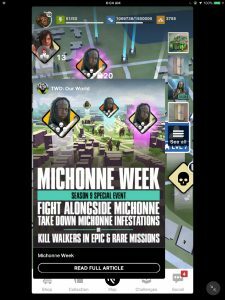 Michonne attempted to manipulate Lydia into leaving Alexandria on her own, telling her to take all of the risk by walking away. Yet in the end, Judith helped Michonne to see that everyone deserves a chance, and despite being burned in the past, she needed to be open enough to trust again, even if only in a limited fashion. Lydia admitted to caring for Henry, and Connie reaffirmed her decision to protect Henry and Lydia. Most importantly, the end of the episode returned to the Whisperers storyline, as 2 of Alpha’s people observed fairgoers arriving at the Kingdom. There is still one dangling plotline: what happened to Winnie? When she saw that all of Jocelyn’s other children had been killed, she ran away rather than face Michonne. But where did she go? It’s been more than 5 years since Jocelyn’s death, and it would have been difficult for this little girl (despite Jocelyn’s training) to survive on her own. Someone must have taken her in. 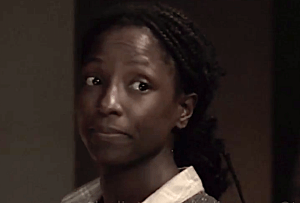 It would be an interesting kind of poetic justice if Winnie ended up with the Whisperers, and now wants to enact a personal vendetta against Alexandria. My guess is that she will appear again at some point; the only question is when. 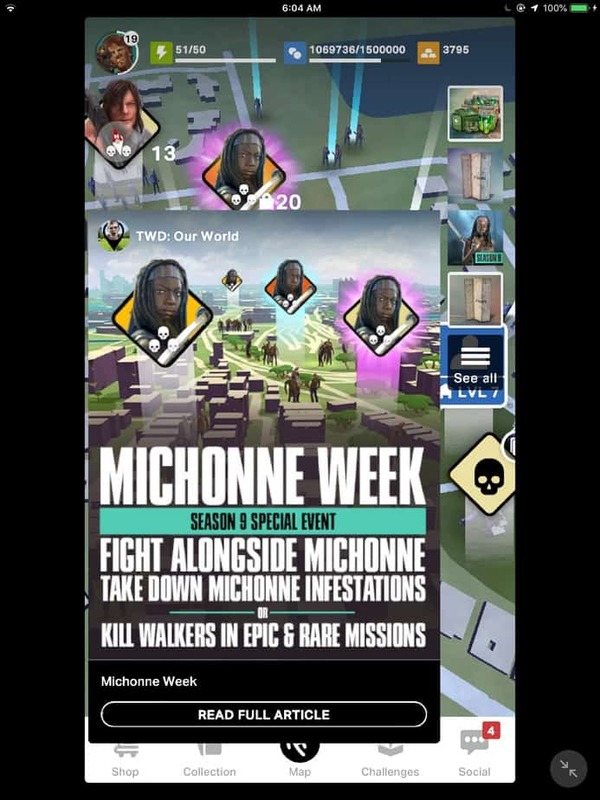 For those who play the AMC Walking Dead mobile games, this week’s Our World salute to ‘iconic heroes’ features Michonne. 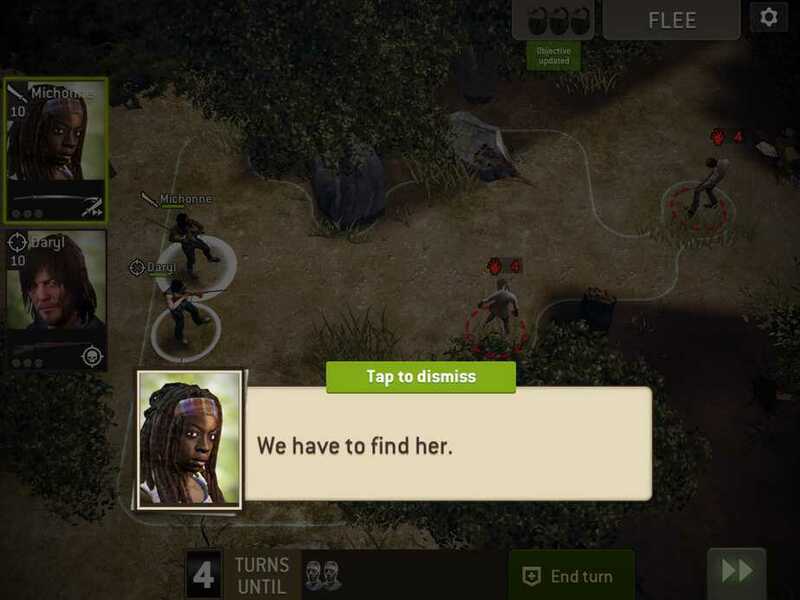 No Man’s Land’s season mission for this episode shows Daryl and Michonne fighting walkers as they track down Judith.